An apparent tweet from the Japanese Overwatch Twitter account has set fire to speculation surrounding the game’s next hero. Tweets went out on all Overwatch Twitter accounts on Feb. 26 with an image of a weapon with details in Swedish, which suggested Overwatch’s next hero may carry this weapon. The image already lended credibility to the theory that Torbjörn’s daughter Brigitte is the next Overwatch hero, but an apparent mistake on the Japanese Twitter account may have cemented that speculation. A post on Reddit claims that the Japanese Twitter account tweeted a file path pointed to a file labelled “Brigitte Teaser #3.” The tweet was deleted almost immediately, but not before a screenshot was taken. Dot Esports did not see the tweet in the brief time it was up. It’s unclear how a mistake like this happened. Some are even speculating that it was an intentional, hype-building leak. Of course, the tweet isn’t a confirmation that Brigitte is the next Overwatch hero, but it sure sounds like it. 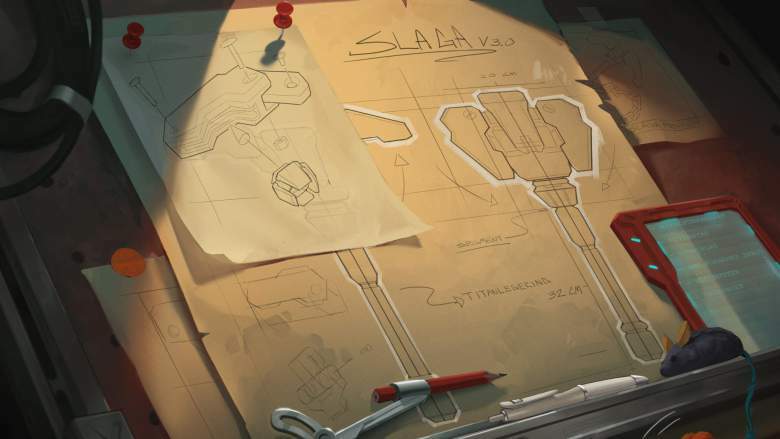 The previous hints revealed over the past week do align with the idea that Brigitte is the next hero. The Overwatch Twitter account posted a declassified briefing on Feb. 22 that detailed a mission where Reinhardt saved Torbjörn’s life. The next piece of information was a letter from Torbjörn to his wife Ingrid, where Torbjörn said Reinhardt will become his unborn daughter’s (presumably Brigitte) godfather. After all these hints, if Brigitte isn’t the new hero, Blizzard has set up a brilliant, brilliant troll. Although multiple people on Reddit and Twitter claim to have seen the tweet in the brief time it was up, it could even be an elaborate fake. Whatever the truth is, it won’t be long before we know more about who’s swinging the Slaga 3.0.